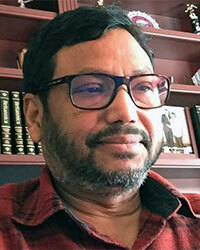 Shahidur R. Khandker Ph.D is a former lead economist in the Development Research Group of the World Bank. During his long career at the World Bank, Dr. Khandker spent eight years at the World Bank Institute in teaching courses on poverty analysis, monitoring, and impact evaluation and worked toward enhancing statistical capacity building in developing countries. He has authored more than 50 articles in peer-reviewed journals, including the Journal of Political Economy, Review of Economic Studies, World Bank Economic Review, and Journal of Development Economics. He has also written various books, including the Handbook on Impact Evaluation: Quantitative Methods and Practices, coauthored with Gayatri Koolwal and Hussain Samad and published by the World Bank; Seasonal Hunger and Public Policies: Evidence from Northwest Bangladesh, coauthored with Wahiduddin Mahmud and published by the World Bank; Fighting Poverty with Microcredit: Experience in Bangladesh, published by Oxford University Press; and Handbook on Poverty and Inequality, coauthored with Jonathan Haughton and published by the World Bank. His work spans some 30 countries and covers a wide range of development issues, from microfinance and rural finance, agriculture, and infrastructure to poverty, seasonality, and energy.